Hello everyone, my name is Martin and I’m from Argentina. I’ve been printing since 2013 with my custom RostockMax V1, but it has reached a point where no mechanical upgrade can improve its print quality. So a few days ago I pulled the trigger and bought a DuetWifi. Even though the Rambo board still performs like a champ, it was time for a change and I’ve read nothing but good reviews about this board. Right now I’m making test adapters because I don’t want to remove the existing Rambo connectors. Below the board sits a 90mm fan, which may seem too overkill, but it’s also for cooling the entire electronic compartment (psu, step-down, motors). 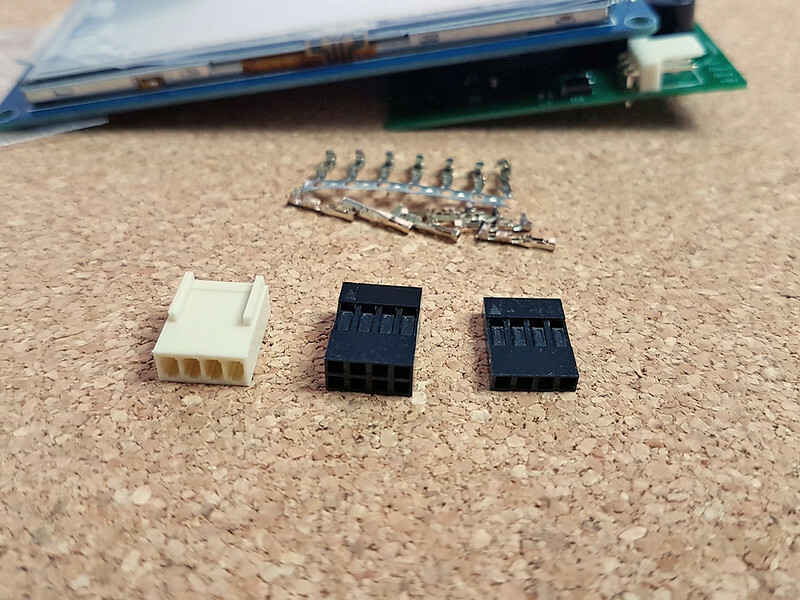 The board came with these connectors. I get where the white ones should go, but what are these bootlace ferrules for? 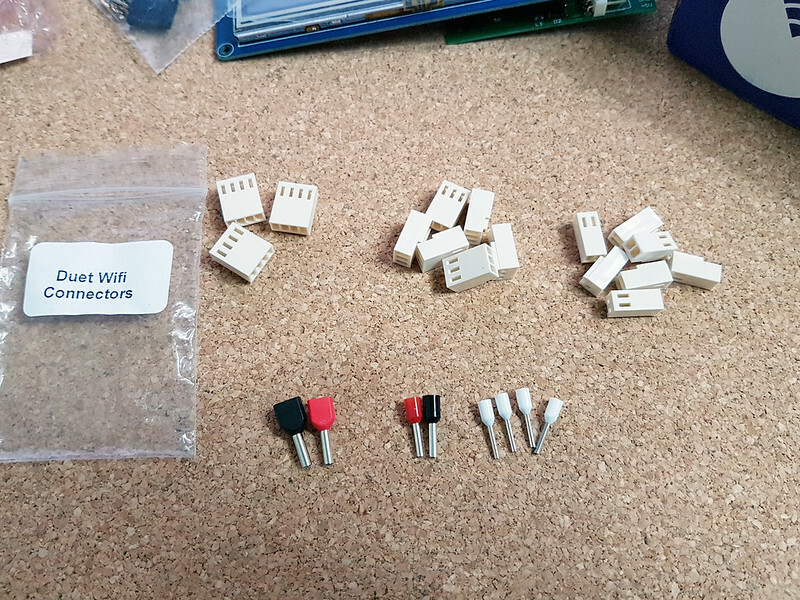 If had to guess, from left to right: Power Supply Input / Bed Output / Hotend Heaters ? Please correct me if wrong. There was another bag with housings. I think these ones are for the Panel Due. Which one/s do I need to use? I was just going to connect it by using the first one, but there is a 8 pin Dupont and a 4 pin one. I don't know what the black connectors are for but you use the off-white one on both ends of the cable but I don't remember the pin out off the top of my head. I think you will like these products. 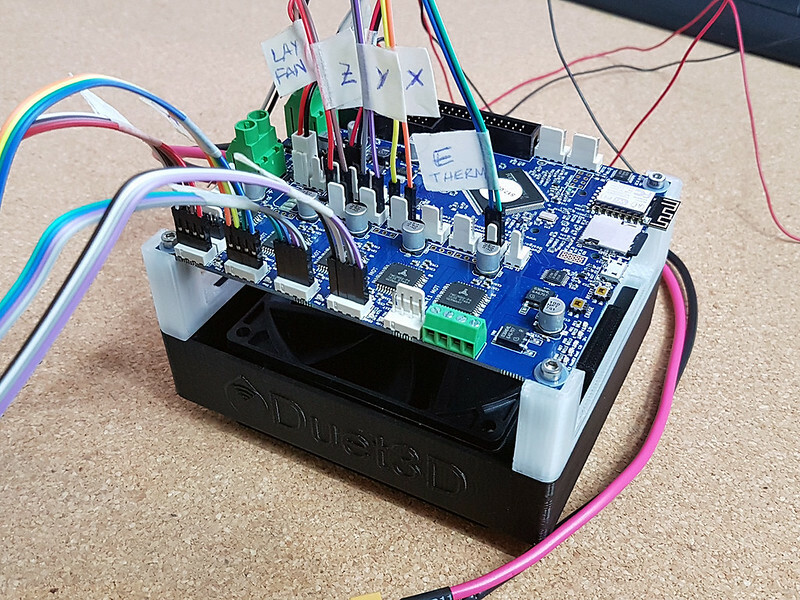 I have been so impressed with the design, performance, documentation and support I replaced the control boards on all four of my printers with the Duet WiFi + Duex 5 pair of boards. The black connectors that came with the PaneDue are for connecting it to different electronics, for example the older Duet 0.6 board. You don't need them for the Duet WiFi or Duet Ethernet. The double entry bootlace ferrules are for use if you have a Duet X2 or Duet X5 as well so that you can daisy chain the power wires to that board. If you don't have one, use the single entry ferrules if your power wires will fit them. I was expecting to see 4 of them so that you have two for the bed heater as well. The small white ferrules are for the extruder heater connections.